A significant portion of our 1700+ business plans was provided for restaurants and coffee shops. Our success rate on restaurants business plan is above 96%. Practice makes perfect! Whether you are starting your own coffee shop, a restaurant, a chain of restaurants or buying a franchise a business plan will be necessary. Over the past couple of decades, the UK has been steadily moving towards the kind of well-established café culture countries such as France and Italy are famous for. An explosion in coffee chains has left few high streets without their branch of Costa or Starbucks. 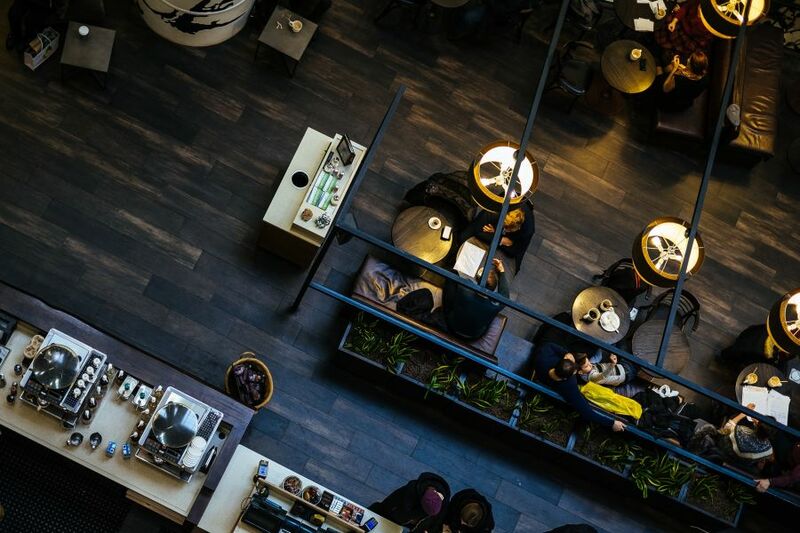 Coffee Shops and Sandwich bars would be categorized under the retail section of the food service market and restaurants under the hotels, pubs and restaurants section. Over the past three to four years the participation upon eating-out activities has peaked at four separate stages. A common trend finds the market participation peaking at Q3 in 2013, 2014, 2015, and at 93.1% in Q3 of 2016. 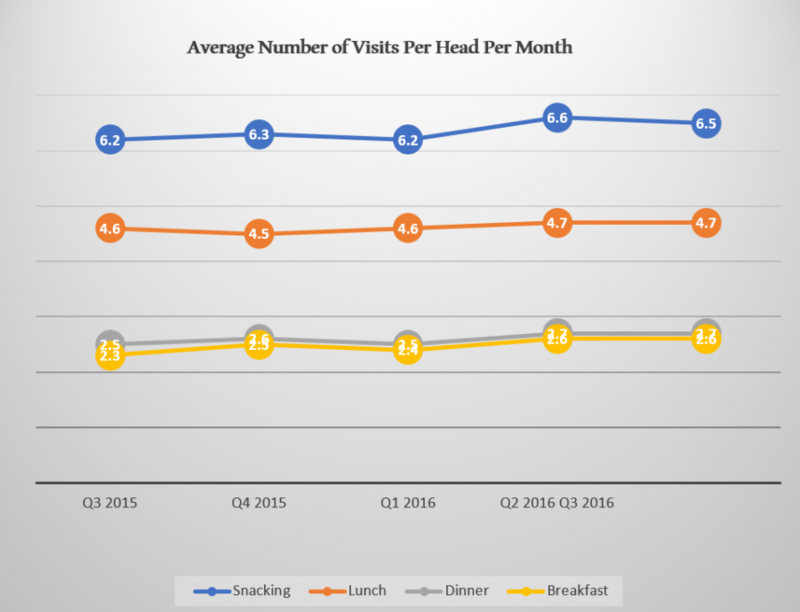 As evidenced by the chart, within the food services industry, the largest proportion of visits is linked to the purchasing of fast or snack based foods with lunch coming in second. These are meals that are typical during an individual’s working day, so would, therefore, be seen as most in demand and usually most cost effective. As the pub industry continues to suffer heavy blows, there’s a growing market for boutique and independent cafés offering an alternative place to sit and read the paper. Estimated at 20,728 outlets, the total UK coffee shop market showed significant sales growth of 10 percent in 2015, compared with 2014, and a total turnover in 2015 of £7.9bn. Over the past five years, the market has grown by a considerable size of 28%, this market has been further predicted to grow at another rate of 26% between 2015 to 2020. The UK’s restaurant sector is booming, too. In 2016, Britons spending a total of £53,3bn in eating out. The forecast by 2017, Britons spend £54,7bn on eating out. Over the last five years, coffee shops have spread across the UK like warm frothy milk rippling across a latte. Counting all the locations of Caffe Nero, Costa, Greggs, Pret A Manger, Starbucks Coffee and Wild Bean Cafe, there are now more than 5,000 major coffee shop branches in the UK, according to the Local Data Company. Costa, the UK's largest coffee shop chain, has more than 1,500 stores, more than twice as many as the 658 it had in 2010. Costa, the UK's largest coffee shop chain, has more than 2,000 stores, Starbucks with 792 and Caffe Nero with 620. As further competitors, you should keep an eye on the fast food restaurants like MC Donald’s, Burger King and KFC. In addition, however, the supermarkets such as Tesco offers this selection, too. The coffee shop has grown in popularity among Britons in recent years as shifting consumer tastes and shopping patterns have replaced the pub with the cafe as a primary social venue. However when it comes to restaurants walking down any high street in the country and you can be almost certain of finding at least a small selection of restaurants. Not only has eating out become a staple leisure activity for the UK population, but it’s also one of the most popular dream businesses. Individuals who ordinarily wouldn’t have the slightest inclination to run their own business are drawn to the glamor of the restaurant trade, either through a passion for cooking or a love of playing the host. The reality of running a restaurant is a harsh one, however. Make no mistake, it’s extremely hard work. And with so much competition around, if you don’t get the founding principles spot on, you’ll struggle. But if the idea of being surrounded by food, providing excellent service, seeing people enjoy themselves and being at the heart of the community is your idea of heaven, then the restaurant trade could be just right for you. Set up your restaurant or coffee shop could be a very hard business because there are many of competitors and you need the right customer and market strategy to enjoy your dream. We will glad to assist you in realizing this dream.